When your attic lacks the proper insulation and air sealing, the effects on your home's comfort and energy efficiency are significant. An attic that doesn't meet insulation standards will drive up utility costs and create uncomfortable rooms with uneven temperatures. Dr. Energy Saver Central Maryland specializes in solving these problems. As your locally owned and trusted Dr. Energy Saver dealer, we provide high-quality attic insulation and air sealing services designed to make your home more comfortable and energy efficient. If you're interested in saving money on your energy bills and enjoying a healthier, more comfortable home, give us a call today at 1-833-483-5965 or click below. We offer free estimates in Bethesda, Rockville, Gaithersburg and throughout the surrounding areas. Before and After Re Insulated Attic in Potomac, MD: The attic had blown fiberglass which resulted in not having the insulation it needs to keep the home comfortable and energy efficient. We replaced the blown fiberglass with blown cellulose insulation. This home resulted with a blanket of insulation over the top of their house that is far less penetrable by cold or hot air, more comfortable house, and lower electric bills. This home owner has a huge thermal bypass leaking lots of air into their home. With the help of our company, we have closed this thermal bypass off. Another happy customer knowing they will no longer have to worry about dirty air leaking into their home. Before and After Thermal Bypass in Gambrills, MD: Another home owner with a thermal bypass. This bypass was allowing hot air to release into their home. We fixed this problem by blocking off the thermal bypass hole to make sure no air would be able to escape throughout the house. This was done by placing a portion of SilverGlo, measured and cut to fit, over the thermal bypass hole. Spray foam around the edges to seal off any air still leaking completed the job. 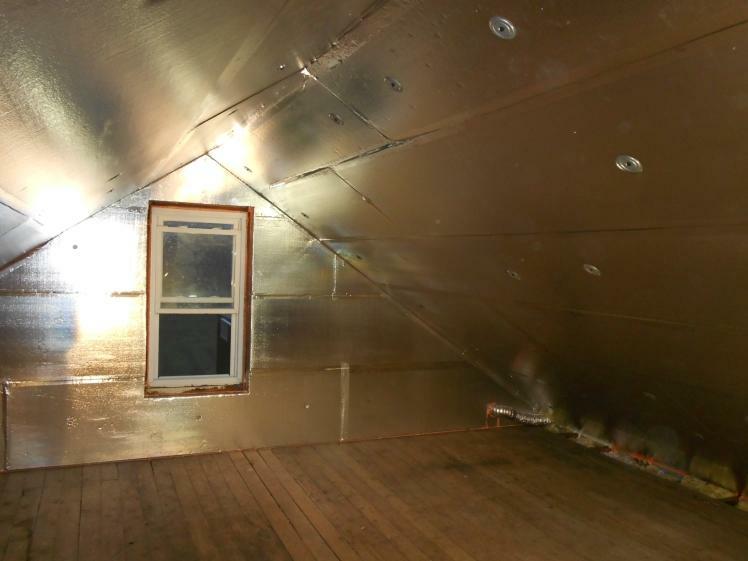 Cellulose insulation is the ideal attic insulation upgrade as it improves R-value. Click here to see how we can provide complete attic efficiency and comfort solutions [PDF]. Uncomfortable temperatures:If your attic is under-insulated, it lacks the thermal barrier needed between the living space and attic. Installing blown cellulose insulation will help prevent air flow between the two spaces, meaning you only pay for treated air within living spaces. Expensive HVAC bills: Insufficient insulation forces your HVAC system to run longer, which is an expensive process. When your home has the recommended insulation levels, your HVAC unit will be able to regulate the temperature as efficiently as possible. Uneven heating and cooling: A common home complaint is that there are rooms that just don't seem to cool down in the summer or warm up in the winter. An air leak in that attic will affect the room directly below it, but it will also impact the overall home. Visibly inadequate insulation: You can often tell if you have enough attic insulation by looking at it. The U.S. Department of Energy recommends having between 13-18 inches of insulation. According to the Insulation Institute, 90% of homes in the U.S. are under-insulated. The airtight coverage offered by the SuperAttic™ System. Tired of high heating and cooling costs and uncomfortable rooms in your home? Dr. Energy Saver Central Maryland is here to provide quality attic insulation and air sealing solutions that will reduce your energy expenses and help create a more comfortable home all year long. If you're interested in blown cellulose insulation, air sealing, or any of our other services, give us a call today at 1-833-483-5965 or contact us today to get started with a free estimate. We offer all our attic insulation services in Bethesda, Rockville, Gaithersburg, Glen Burnie, Pasadena, Laurel, Severna Park, Severn, Highland and throughout the surrounding areas.